Later today, we'll be running an exclusive interview with Q-Games boss Dylan Cuthbert, a key figure in the history of the Star Fox series - he worked on the SNES original, its cancelled sequel, Star Fox Command and the 3DS port of Star Fox 64. Even after the decision was made we went ahead and completed it, taking it to be fully QA'd through Mario Club. During development [of Star Fox Command] we received a copy of the mastered Star Fox 2 ROM to play, and it was quite a blast. The many ROM images which exist on the web of Star Fox 2 are unfinished prototypes, and Cuthbert states that they are missing many elements which make the game complete. Even the ROMs that have been patched by industrious fans to remove bugs and pull together features that are spread across the various prototypes are - according to Cuthbert - a long way off what the final, mastered version is like. The legal problems regarding the now-defunct Argonaut Software are probably a nightmare. Never say never though! The fully complete Japanese ROM at least does exist. We'd personally love to see Star Fox 2 on the Wii U Virtual Console - what about you? Post a comment below to tell us what you think, and keep an eye out for our full feature on the making of Star Fox 2, which goes live later today. .... GIVE IT TO ME NOW! There is also somewhere locked up at Rare's offices a 99% prototype of "Killer Instinct 2" for the SNES. So much denied past memories... I hope someone realizes that is far more important to preserve their work than keep it locked away from the world. I like Star Fox 2. Wish it was actually out now. They should definitely release it for virtual console, it's a waste for it to exist and not be distributed or playable to anyone! Would this technically count as a brand-new Super NES release if it was put on Wii U VC? I wonder. Good, this article is proof that Super FX chip licensing is the reason why games like SMW2: Yoshi's Island, Star Wing and Stunt Race FX haven't appeared on Wii U VC. I say make it bonus unlockable content for Star Fox Wii U.
I wonder what the "missing elements" are. The patched prototype feels pretty finished to me, aside from the missing multiplayer mode (which didn't seem all that exciting anyway). A VC release would be a no-brainer...Recca got released to VC, DK Pie Factory had a limited release...I'm sure Nintendo could dig up lots of other gems, like Sim City NES. While I'm on the topic of unreleased Argonaut games, would also be awesome to see an English release of X some day. I've always wanted to try it, but the language barrier is a little too steep for me. "The legal problems regarding the now-defunct Argonaut Software are probably a nightmare." Super FX patents are time expired and there is no embedded software on the Super FX chip that's protected by copyright that would still be active today. As such, it's un-debatable that the Super FX co-processor is in the public domain today. Dylan clearly is only speculating that Argonaut Software holds some sort of ownership rights to Star Fox 2, something that would be very unlike Nintendo. We're talking copyrights to Star Fox 2 (And possibly Star Fox and Stunt Race FX), not Super FX rights. And not rights to Yoshi's Island, since Argonaut wasn't even involved in its production. 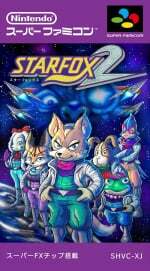 And even in the unlikely event that they didn't hold clear title to a title like Star Fox 2, Argonaut Software folded on the eve of the release of the Nintendo Wii just as Nintendo was underway with launching the original Virtual Console. Hard to imagine Nintendo failing to secure whatever rights they didn't already have as that company was being liquidated, just as Nintendo was preparing to relaunch many of their classics digitally. I'm confident that the numbers just don't add up for them, particularly when Yoshi's Island is available in fine alternate form, to justify the programming necessary to emulate this chip to their satisfaction. Homebrew Super FX emulation is pretty difficult and only relatively recently has it been done fully satisfactory. And even bSNES, otherwise considered a 100% software copy of the hardware, takes many shortcuts and liberties out of necessity with its implementation of this co-processor since an exact implementation of it simply isn't practical. I hope they can make it happen. Obviously they'd never distribute the ROM themselves, how the near-finished Beta ever surfaced as it is I don't know. Played this on a SNES emulator and thoroughly enjoyed it. A shame that it was never released, as it''s pretty good. I misspoke, the Super FX emulation in bSNES/Higan is indeed now cycle accurate. @GoneFishin Last I checked it was supposedly cycle accurate with everything, provided your machine could handle it of course. I wouldn't say no to this. I have seen the patched prototype in action. And they say there's MORE to the final game? Yow. Now I really want that interview. From a fans point of view it would make sense to release the game as part of the VC. I know my wallet would be waiting in line on eshop. But this is Nintendo, so I would hold my breathe. There are plenty of unreleased titles I've lauded on emulators at are just dying to be on VC. The box I had designed (and was shared on this site) did actually contain a cart inside! The one I had made apparently contains the 100% Japanese version, albeit with some fan-translated text into English and then put into a cartridge. However, we'll never know. Hopefully your Interview with Dylan will shed some light on the versions that exist now. The beta version ROMs I saw a few years back that were being coded for the West were indeed missing parts but it is possible to source the complete JPNS version these days (but not officially or with any source to back that claim up!). It's unfortunate that it was never commercially released. 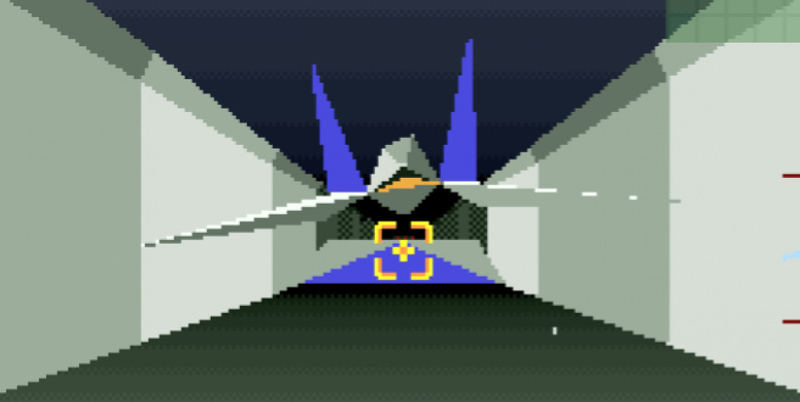 I love Starfox 2. Looks lovely on a CRT tv. Dylan and his company are still making cracking games over at Q. Look forward to reading more! For the cause of digital preservation, 20th century culture... RELEASE IT!!! @superfamicomguy According to Cuthbert, all of the ROMs available in the wild now are not representative of the final game. He saus there are elements missing - both in terms of how the gameplay was structured and some of the enemy encounters - which aren't present in any version other than the final, mastered edition. "We'd personally love to see Star Fox 2 on the Wii U Virtual Console - what about you?" Well, I'd love to see the original at least. It makes me laugh that it's still so difficult to accurately emulate a chip that made its retail debut in 1993 and was running at roughy 10.7mhz in the first iteration. 22 years later, with systems on a chip that can produce millions of polygons with no hassle, we don't really have a reasonable way to handle games that were only rendering a few hundred polygons. I, by no means, am a systems/software engineer, but this is still funny to me. What a tease! Not cool, mate! Now I wanna see what the game is like! @Damo Yeah I suspect that's true! I had played 3 versions on Rom format back in the late 90s and the copy I have now is quite different from them but its still buggy. To have an officially complete version released via the virtual console would be magic! Well, if Nintendo can do it, and is willing... this year would be a pretty good time to do it. Hmmm, what if starfox 2 is starfox wiiu? When they announced starfox wiiu they said it would be out sooner than expected. They may have re skinned the game and updated it and included extra content. I doubt it's the case but there is definitely an interesting opportunity for a completed game that has never been released. I've always wanted to play this one. I agree. The SuperFx chip can't be the sole reason. I can't imagine Nintendo not having some kind of exclusive rights to their games even if Argonaut owned the patent on the chip or whatever. If they can get Donkey Kong 64 released with the Jetpack game owned by Rare/Microsoft then surely they can get this. You never I know, I guess. This is something that needs to be figured out. Nintendo really needs to release the FX chip games on VC, and they should do an entire range of finished, unreleased games too. I'd love to see this on VC. We probably have a better chance of Mother 3 than this though. Probably will never happen. Release the Super FX games, Nintendo! Otherwise, remake them for 3DS! Utterly criminal that this game had never seen a release back then and it used the FX chip 2 which was twice as powerful as the first FX chip that was used in the first Star Fox, would of been amazing. Dylan Cuthbert Lucky man having Miyamoto as his father-in-law! @Asaki He may be misinterpreting the earlier multiple betas out there. The one people call official is fully intact and playable, didn't need hacking to work, just to remove a frames per second counter and another dude put it into english. Odds are what we got on that release is right, but perhaps it's a mix. The earlier betas did have a 2P multiplayer combat mode. That may be what he's talking about being a big asset missing. FX Chip legality stuff is all expired if someone else had a claim. Nintendo only would own this after this long. I think the problem is that it's hard for them to add special chip games into their VC emulator. Yoshis Island is HUGE and they won't do that, but did it with the GBA version easily enough on the 3DS as it's far simpler to do that. I think it's the challenge not being worth the reward. So according to the guy he merely says, "Ha I got to play the complete version of Star Fox 2 and those people who either pirate the game, play the rom on emulator, or buy the repro only get to play the incomplete prototype version." Like seriously if the game is finish, just released it otherwise you know what I always say, "If I can't prove that it is a finish game, I ain't gonna believe it." It's a prototype now and it will remain a prototype unless it is actually release for everyone to play. Heck, I just want the original Star Fox on Virtual Console. And Stunt Race FX. I doubt it will ever happen, though. My buddy had a demo version his Mom was sent from NOA to be put out for display purposes just before the game got cancelled. I wonder how complete that version was. @tanookisuit They've had multiple enhancement chips working with their VC, and not just on the Wii U. The Wii had some too, like SMRPG. Speaking of 'unfinished', I played through the most complete ROM patch out there, and I felt it was quite short. I wonder hows the full game like. I've seen actual gameplay of this game on Youtube. Yes, I wish I had payed this game, it looked cool as I really like how the Arwings change into walking machines. I also like how there's a lot to do especially that you have to protect Corneria from missile attacks and Armadas. I would prefer this game over Starfox 64 which is over-rated in my opinion. @RantingThespian That would be sick! And then release it later on. It's gonna be an unlockable secret on the new Star Fox game! In fact, you'll unlock it with all the Star Fox character amiibo. Maybe. I could already tell you it exists. those roms weren't faked after all. even if not 100% complete not faked so yeah. if they were fake, damn I've been tricked, and I never even played the dang thing. @joemama93 The WiiU is a dead console? Yes sorry i like the Wi u but its a dead console. Maybe Nintendo could do a remastered release of Starfox 2? WarioWare on the Wii had a complete 480p60 remaster of the first level of Starfox 1 and it was awesome. I'd definitely pay good money for a complete remake of Starfox 1 and 2 in 1080p60 on the WiiU! @joemama93 "who's that crossing my bridge?" snarled the troll. "It's me, big billy goat gruff" replied the goat. "I'm going to gobble you up" shouted the troll. "O no you're not" replied big billy goat gruff and then charged at the troll with his mighty horn, pierced his spleen and the guts of the troll poured out all over the ground. The troll died a horrible gruesome death. Then all the goats could enjoy the green grass on the other side of the bridge". Please give me a new Star Fox, Star Tropics, Earthbound, and Golden Sun (for 3DS!). @Grumblevolcano It is not really proof. Make it free on Wii U, and 10% off the new game if you download it - if they can navigate the legal minefield to get it published. @joemama93 When you said Star Fox, you meant CoD. That is utter trash that is lapped up yearly by fanboys. Honesly COD Is Worst trash than star fox the best modern retro game ever released was Sonics Ultimate Genesis collection On ps3 and xbox 360 to bad they didnt release it for wi u.....now Breath of Fire 1 and 2 For wi u Vc is awesome to bad the Wi u is a dieing console. Pretty much that was the WORST retro game, as it doesn't have Sonic 3 & Knuckles for whatever reason. And Sonic Jam is way better, anyway. It would be interesting to see it, but I wonder how the series would be nowadays with the two additional characters. Maybe Nintendo will revive them one day in a new game as playable characters, so that would mean two more female character. Sure, why not, the more the merrier. But... Jeremy San owns everything that was left of Argonaut when it liquefied, right? Then wouldn't any legal issues be resolved with just him? I think releasing Star Fox 2 on the Wii U virtual console would be the perfect lead-in to Star Fox Wii U's release. Release Star Fox 2, then release Star Fox U a month or so later; maybe even have a whol month of Star Fox releases and discounts, starting with Star Fox 2 and culminating in Star Fox U. This would be an amazing use of the Virtual Console service. Better yet, you could start a Kickstarter campaign and produce an actual SNES cartridge of the game - the first new official SNES game in ages! Seeing the completed version of Star Fox 2 on the virtual console wouldn't just be cool (it'd be very, very cool) but it would also serve as an interesting promotion for the upcoming Wii U installment of the series. I have looked into this. A/N Inc. was formed as a joint-venture company between Argonaut Games and Nintendo for the purposes of commercializing the Super FX Chip. It was the original assignee of the Patents associated with the Super FX Chip. Argonaut Games had a 49% stake in it. When Argonauts sold off their assets and closed, they apparently sold their stake A/N to Nintendo, because Nintendo became the assignee of those patents in 2006. Now, that doesn't cover the copyright of the SuperFX Instruction Set and the architecture. Although, if A/N was in charge of licensing the chip to third-party developers, I would have to imagine they would have held the copyrights to those. Also, copyright on the star fox games are not an issue. The original Star Fox has Nintendo as the sole copyright claimant. To sum up, I don't see what the "legal issues" he's talking about are.